If you can't sell your products to those who need them, how do you think you can make money? Most businesses fail because the management fails to fit into the ever changing business world. And for your business to continue to grow, you need to master new effective ways to sell your products or services. If you don't have any spare time to learn these things, Come ‘on, you can hire someone! 'My personal website launches in full functionality on Saturday November 3 at 13:00 GMT, with some articles you can't see anywhere on the web. After the site goes live, I'm going to bless 5 businesses with 1 free advertising copy each. Each of the copy, if used efficiently, will be able to attract over 5 times more sales for the next few years. 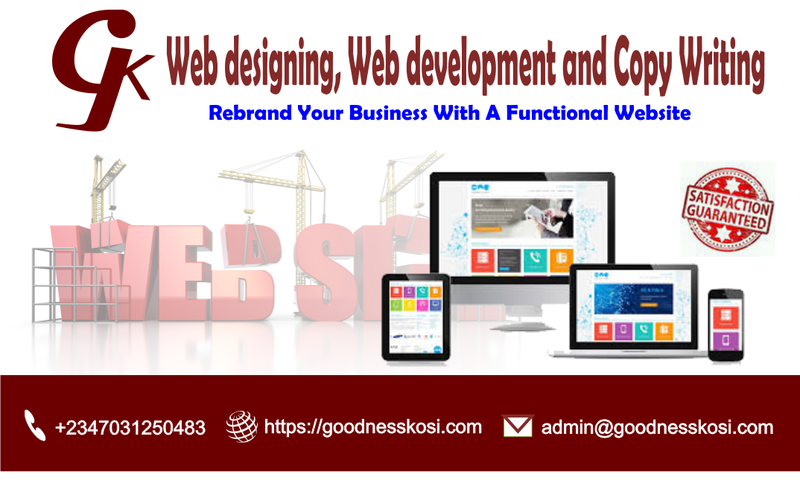 You'll have nothing to lose, all you need to do is: go to goodnesskosi.com and tell my team you are interested! The faster you are the better. This offer ends as soon as 5 businesses/organisations have been chosen.’_goodnessKosi. Good advertising copy, which can only be written by good copywriters like Goodness, can generate millions of dollars in sales, if used correctly. I am 100% sure that; he and his able team, will be extremely happy to work with you. Or, you may fall in love with his motivational blog contents. 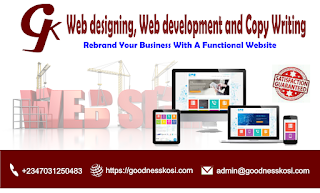 Just check out goodnesskosi.com/blog and come back later to thank me please. You've missed the first opportunity, would you like to miss another opportunity? I wouldn't like you to. Certainly, you wouldn't like to miss any more opportunity as long as your business matters and you want to improve sales. Maybe, you are yet to understand why a good advertising copy matters, or you still think that good advertising copces should be used only by big companies need . Whatever the case, just know that 'the best sellers are never the businesses with the best products'. Now, I assume you have great products, don't you? Let them become best selling products. Only Goodness knows how.